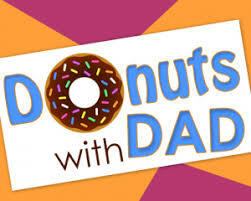 The PTO will also be sponsoring Donuts with Dad, so hopefully our dads can join us ONE morning either Wednesday, March 14th OR Friday, March 16th. Donuts roll at 8:00 a.m. those mornings. Please be sure to get in your RSVP, so we save a donut for you.